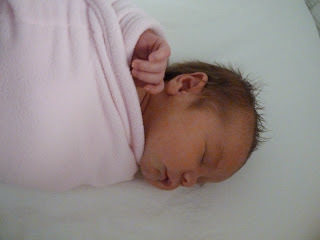 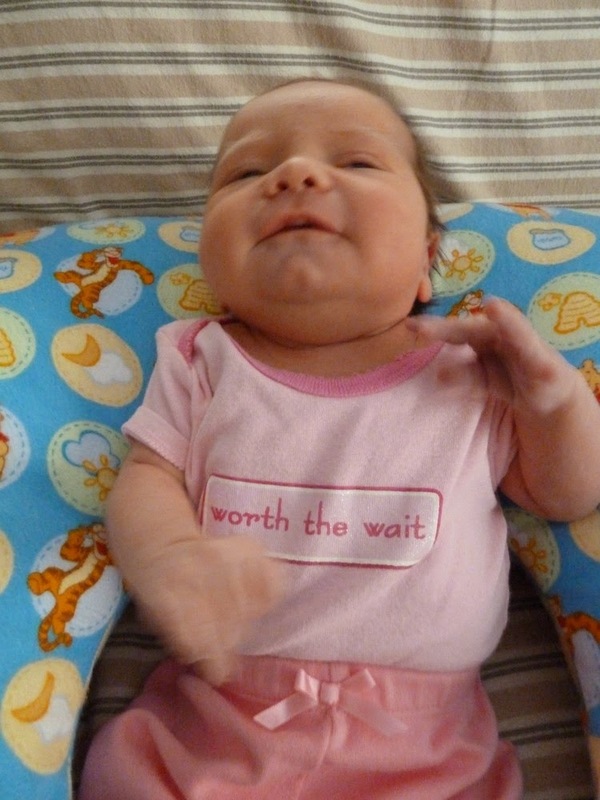 I thought I would upload some pictures I took yesterday while Annabelle was awake. 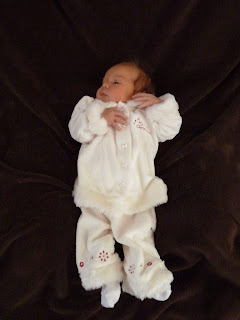 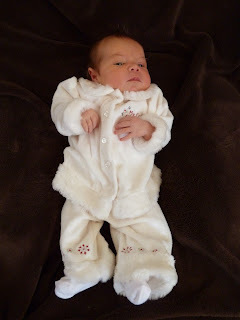 The white outfit is a Christmas outfit from Pa Pa & Grandma Elder which is still a little big so it's going to be her snow angel outfit for winter! 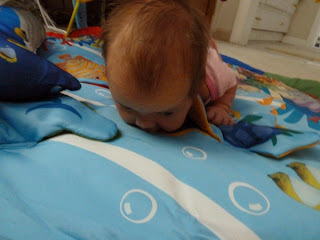 She is growing to like tummy time a little more and she is starting to focus on things around her which is really fun to watch as she develops these new skills. We are starting to spend more time awake during the day and asleep at night which is really nice! 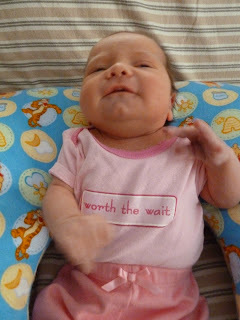 Last night she slept from 10 - 7 with one feeding at 3am. 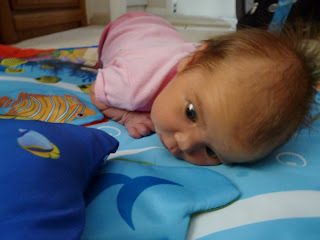 From what I understand these patterns will change again just as soon as mommy gets used to it but for now I'll take it! 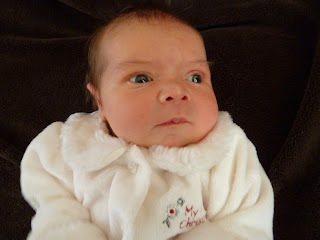 She looks alot like Brian!